​Leicester manager Brendan Rodgers has revealed that James Maddison is currently 'very happy' at the club, amid growing speculation that the midfielder could be set for a summer switch to Tottenham. Despite only arriving at the King Power Stadium from Norwich in a £20m deal last summer, the midfielder's upturn in form, particularly in recent weeks, has seen his name linked with many of the Premier League's biggest sides. 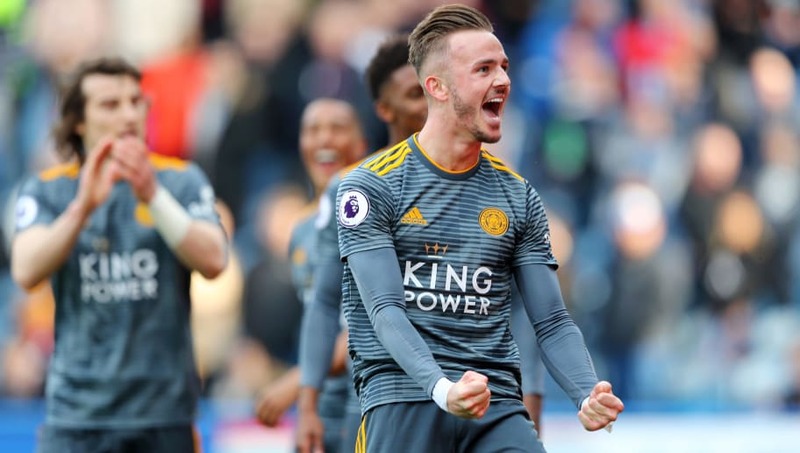 However, whilst ​Leicester boss Rodgers acknowledged that Maddison's recent performances would attract greater attention to one of his star players, the Northern Irishman remained confident of keeping hold of the 22-year-old. He said (as quoted by the ​Leicester Mercury): "My only feelings on players and my experience now in the game is that you just continue to work with them. "When they’re top talents, they will always create attention around them. But he’s very happy here, it's his first season in the ​Premier League." Rodgers added: "He's been on a great journey as a young player, he has now arrived at a fantastic club where the way we work, and the style in which we play really will suit his game and his qualities, and he will want to gain more experience in this league. "He has a very good idea of football and works very hard, so he has been a joy to work with since I have come in and I'm sure there are still a lot of improvements he will make."